This event is intentionally only in Spanish to extend the mission of V Festival Internacional de Poesía "Amada Libertad" which was to cultivated poetry within communities by creating literary events for community members of all ages. 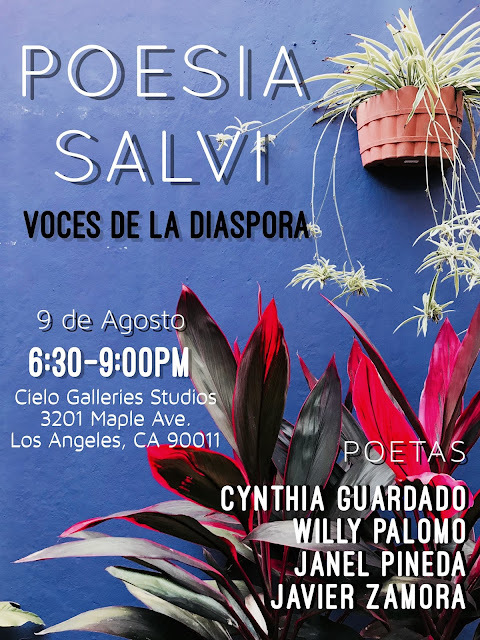 Additionally, this event is meant to honor our ancestral language and the immigrant communities of Los Angeles by creating space for our family members and community members who are Spanish-Speaking or bilingual so that they can experience poetry & discussion of relevant culture issues in their native tongue. We will read poetry in Spanish at this event and have a conversation about the festival in El Salvador that we participated in which included poets from the following countries: Guatemala, Honduras, Costa Rica, Mexico, Cuba, Puerto Rico, Argentina, El Salvador, El Salvador/ EE.UU., and Finland. Please invite your relatives and friends, those who could identify with the immigrant experience, our diaspora.